I wrote earlier this week about how important it is to look after your skin during winter and one of those tips is to use a face mask once a week. 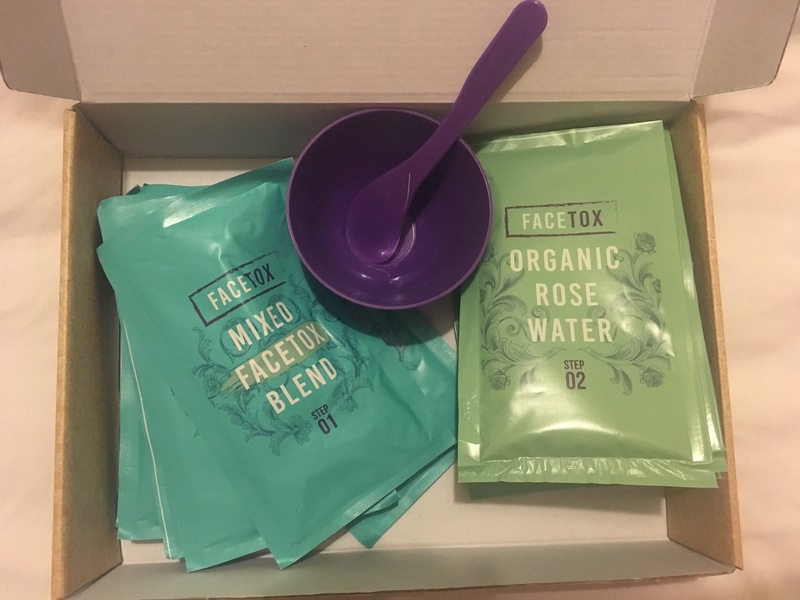 This month I’ve been using Facetox as I was sent a pack of seven face masks to review. 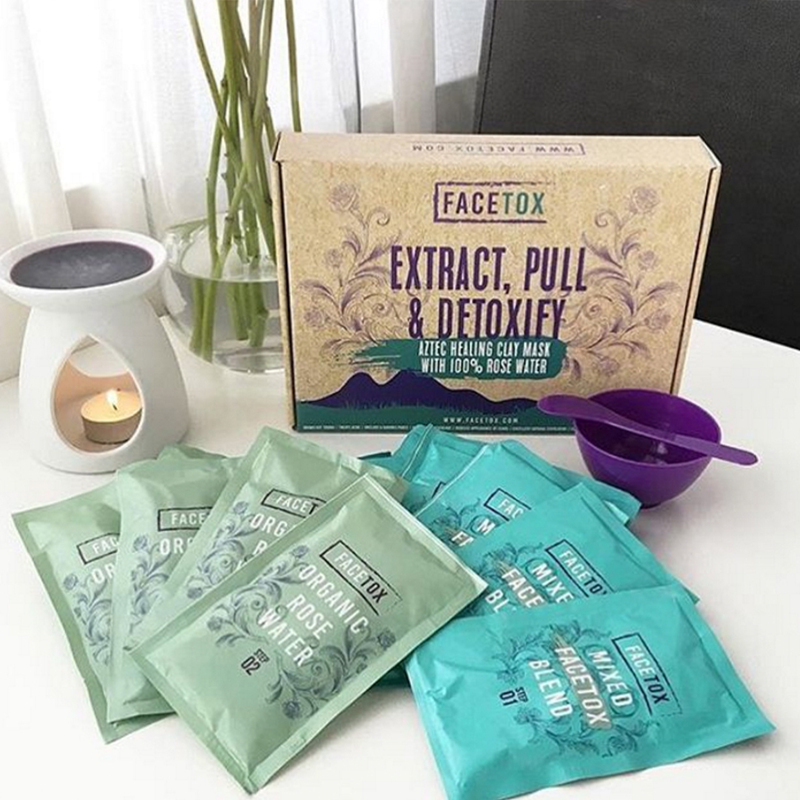 Facetox has got a really cool image – I love the packaging and the branding and detoxing is so in right now and that’s exactly what it is – a detox for your face! Facetox is organic, cruelty-free and vegan which is awesome if you’re into your ethical skincare. There are a number of things that Facetox does including drawing out blackheads and shrinking pores (I really need this, especially on my nose! ), reduces redness and evens skin tone. For every sachet of clay face mask, there is a sachet of rose water to go with it. The package comes with a really cute little purple bowl and spoon to mix up your face mask. This is the part that I wasn’t too keen on – I’m super lazy and so mixing two sachets in a bowl together seemed a bit too much like hard work for me! However, if anyone’s used to making their own face masks, they’ll find this super easy. Mixing the two sachets together causes a negative charge which works to pull the toxins out of your skin. 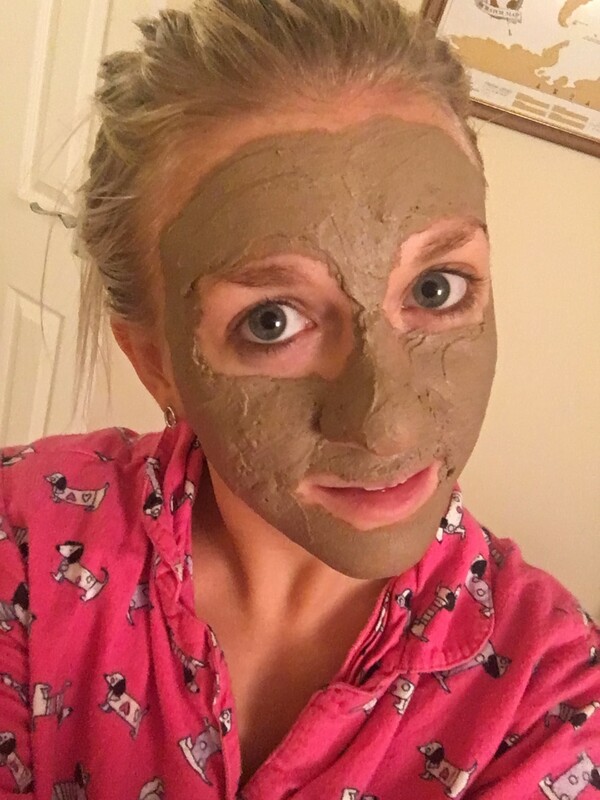 PJs and Facetox on – perfect evening in! You then smooth the face mask all over your face and leave it to set for 30 minutes. This is a really nice amount of time and I much prefer it to the five minute masks, as it gives you time to relax while you have it on – just like you’re in a home spa! There is a slight tightening sensation as it sets but nothing uncomfortable. After 30 minutes you simply wash it off. I’d recommend using this face mask at night time, as it really helps you to relax before bed. My skin immediately felt softer and smoother and when I woke up in the morning, my skin seemed a lot more radiant. There was also noticeable movement on some of the black heads on my nose, which I was really pleased about. Facetox had given me the skin boost that I needed! Find out more about Facetox here.